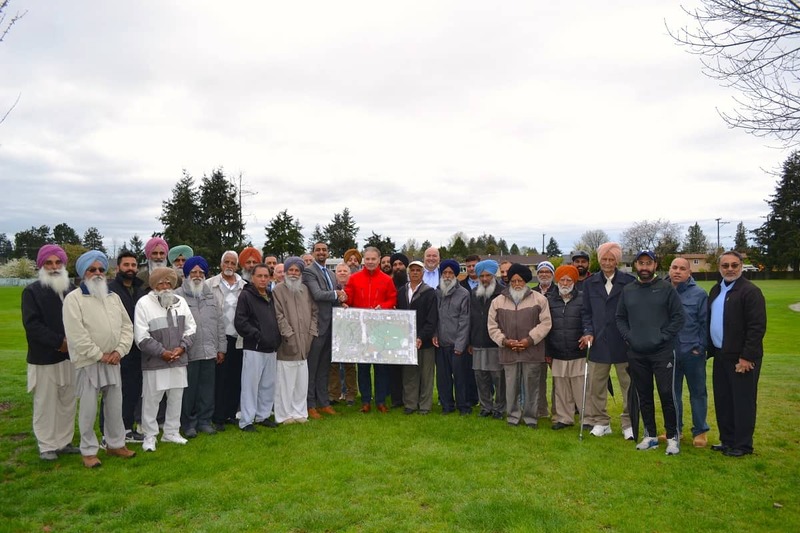 Ravi Kahlon and George Harvie with South Asian seniors. Kahlon said that cricket teams will finally have a local pitch to call home and seniors will have a comfortable location to socialize. From the funding, $100,000 is going towards a shelter for seniors and a renovation to the pickleball courts. $75,000 is being allocated towards cricket facilities.